Beet Hummus is my new favorite thing and I NEED you to stop not knowing about it. 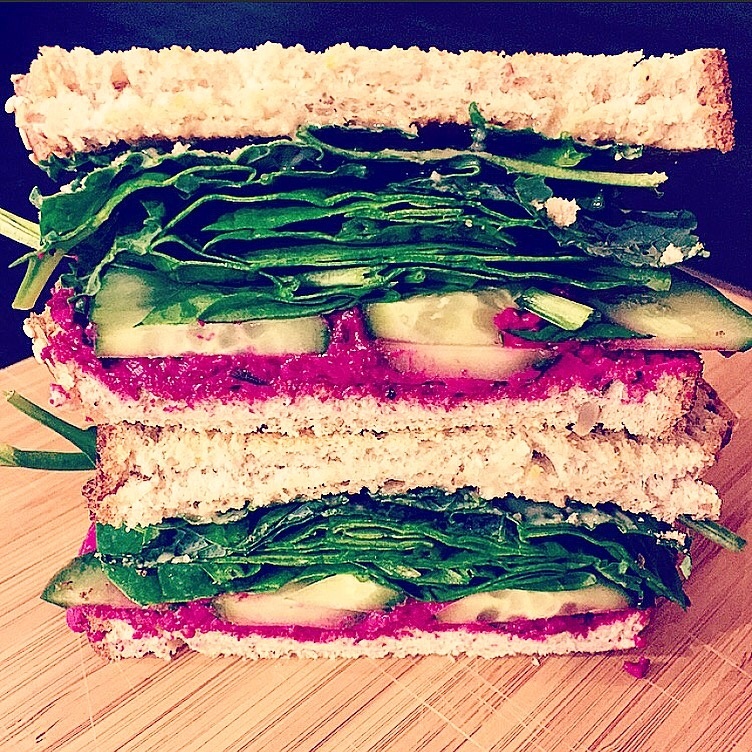 I made this sandwich for a fun Friday work lunch and I kinda want to eat it every day forever and ever. The sadness I felt after my last bite is indescribable and I’m not even gonna go there. You could also include, zaatar, salt & peper, tomatoes, & avocado but I got so excited that I forgot. I’ll be completely honest with you because I feel we’re at that point in our relationship, my beet hummus was store bought. I found it at Trader Joe’s and I will never NOT include it in my grocery list again. But, I was thinking you might be better than that and want to make it at home. Which is awesome. I’m not judging. So here is a great & easy recipe I found for you on myrecipes.com. Have at it!